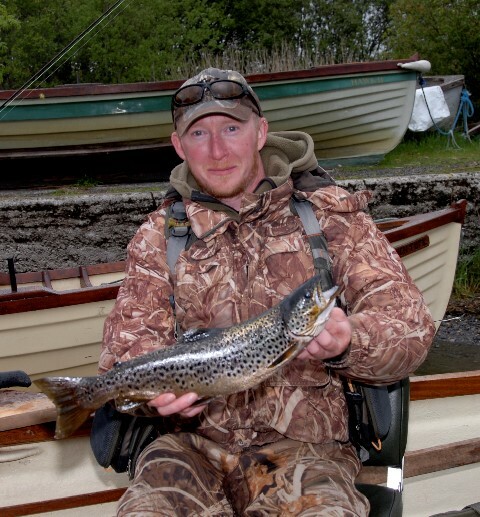 SHEELIN TROUT: The mayfly has a few nice fish on the move on Sheelin and last Wednesday, Thomas McMullan, of Maxol Oil, was in the thick of the action. 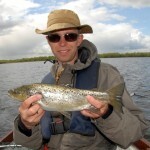 It was after lunch before we started to move some trout and on one drift we managed to boat 3 nice fish with wet flies. 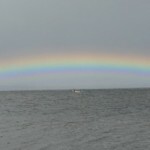 Naturally, quite a few boats were out on Sheelin and in the coming days it will be hectic as ‘May Madness’ sets in. 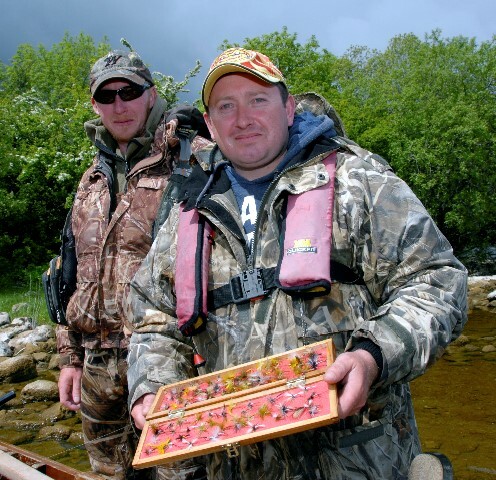 If you drop into our local tackle shops, ‘Wild Total Outdoors’ and ‘O’Malleys’, you will pick up some nice Mayfly flies. 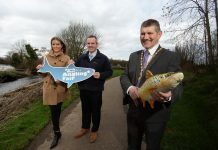 Mary Reilly at Finea Bridge has boats for hire on Sheelin and can be contacted on 043-6681124. 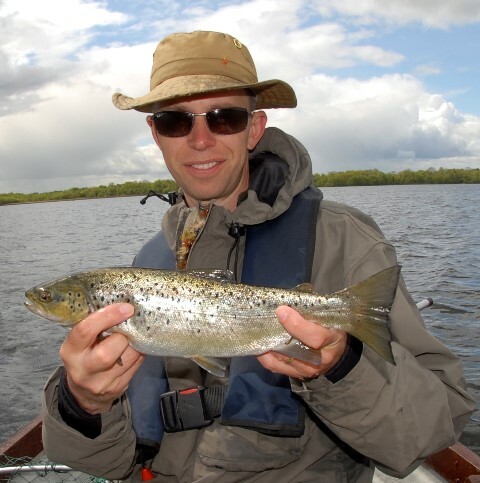 REE TROUT: Lough Ree is a Mecca for anglers and last weekend I met up with some great characters enjoying their fishing on Ree. The dappers were out in force on Ree and dapping the mayfly produced some nice trout. 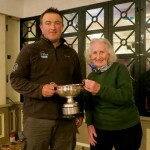 Portlick anglers held a competition last Sunday and top rod was Alan Recks from Tubberclaire. 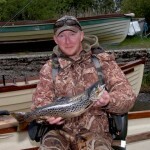 Alan was fishing with pal Dermot Sammon also of Tubberclaire, and his trout weighed 2lbs 5oz. 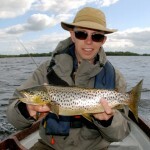 There was a huge number of mayfly hatching on Ree and this weekend you might get a bit of spent fishing in the evening. 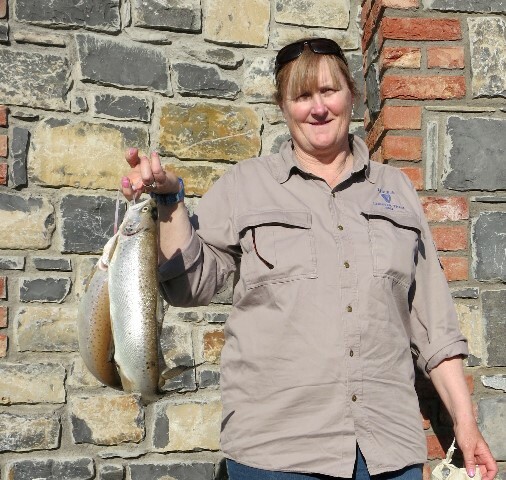 OWEL TROUT: The Irish Trout Federation of Ireland held the Leinster Championships on Owel recently, with calm sunny conditions on the day. 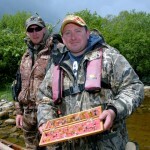 Not the best conditions for fly fishing, but Owel produced the goods with 86 anglers recording 74 fish. On the day, Julie Gerry of Maynooth was top rod a combined total of 9lbs 4.6oz. 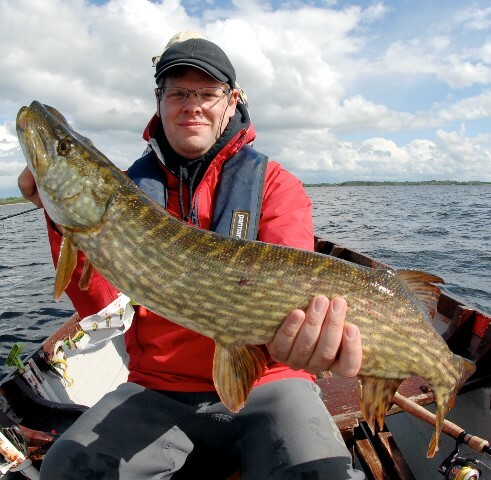 Liam Cox was 2nd with 7lbs 11oz, 3rd, Ken McCarthy 7lbs7.8oz, 4th, Kieran Newman of Mullingar, and 5th was Colin Cahill of Killucan. 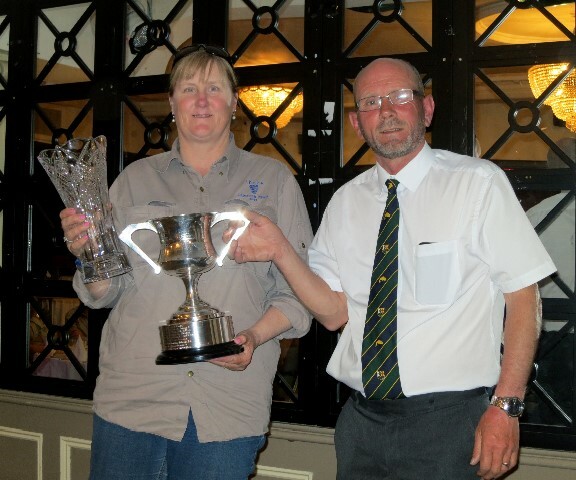 Leinster I.T.F.F.A. 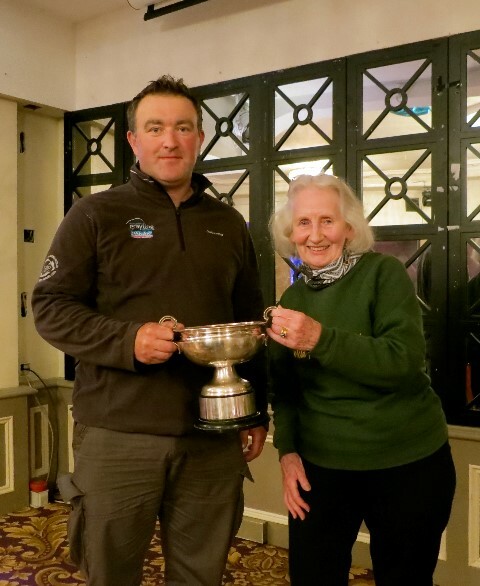 would like to thank Lough Owel Anglers Association for hosting the championships and Jack Doolin for boat hire, along with Dermott Broughan of I.F.I. 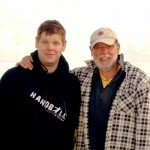 Full results and team placing will be on my angling site later in the week. 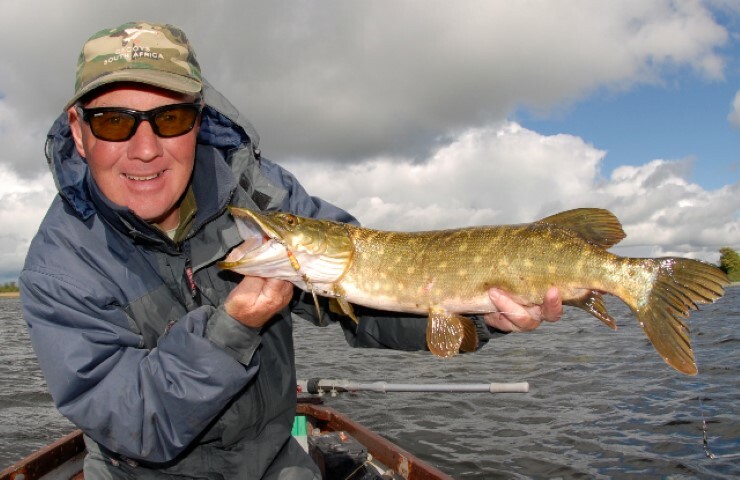 PIKE ON THE MOVE: I met a couple of French anglers drifting across the Midlands last week and they had a ball of a time catching pike. 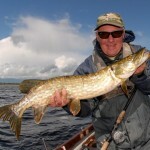 Over the 2 days fishing, Jean Bourst and son Guillaume boated 22 pike on a variety of lures on Derravaragh and Ennell. 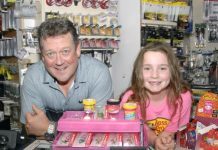 The top baits were sliders and line through lures, all available in local tackle shops. 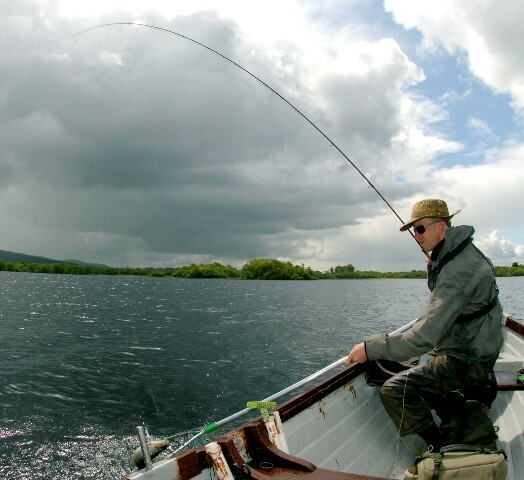 The lads were keen to get down to Lough Iron, but now the river is low and weed growth is a problem when motoring down to Iron from Derravaragh. 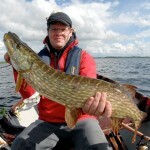 Some of our best pike came from Ennell and it will produce some huge pike I reckon in the coming weeks. 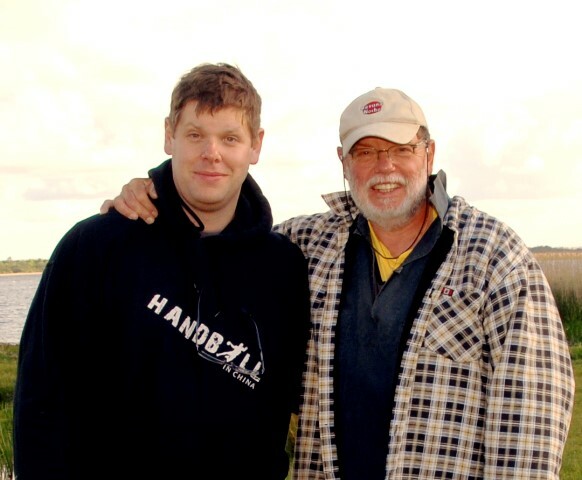 The only bum note from the lads trip was when we ventured into Dysart Island for our lunch. Jean could not get over the amount of cans and beer bottles just left on the island. Jean actually gathered up a lot of cans and bottles, bagged them and took they back to bin them at his B&B. If you are out and about on our waterways please take your rubbish home. It’s an on going problem across the Midlands, dumping rubbish, and it’s not genuine anglers I can assure you. 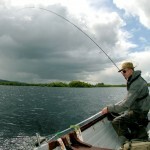 PADDY DOLAN TROPHY: On Sunday June 12th Lough Lene anglers will be in action. 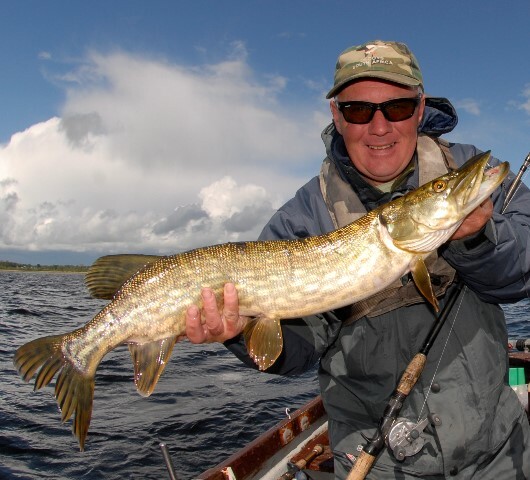 On the day, the Paddy Dolan Pike competition will be fished from 11am-6pm, starting and finishing at Fagan’s Point. 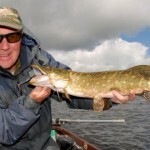 Lene is renowned for producing good pike in the summer months and all going well they will come on the feed for the competition. Members will be contacted by text message prior to the competition. Next articleI.T.F.F.A. 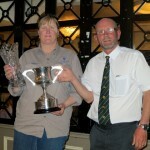 Leinster Championships On Owel By Denis Goulding.